I decided to drop here some my ideas for HIS Christmas gift. You shouldn't be worried about brands or something, because You can pick up in store something similar and something what your man would love and appreciate more than these. 5. Textring , personalized text or series of words designed specifically for you. Great ideas, love that bag, i;d deffo buy that for my boyfriend so I could steal it!! i really love this post! it's so helpful :). 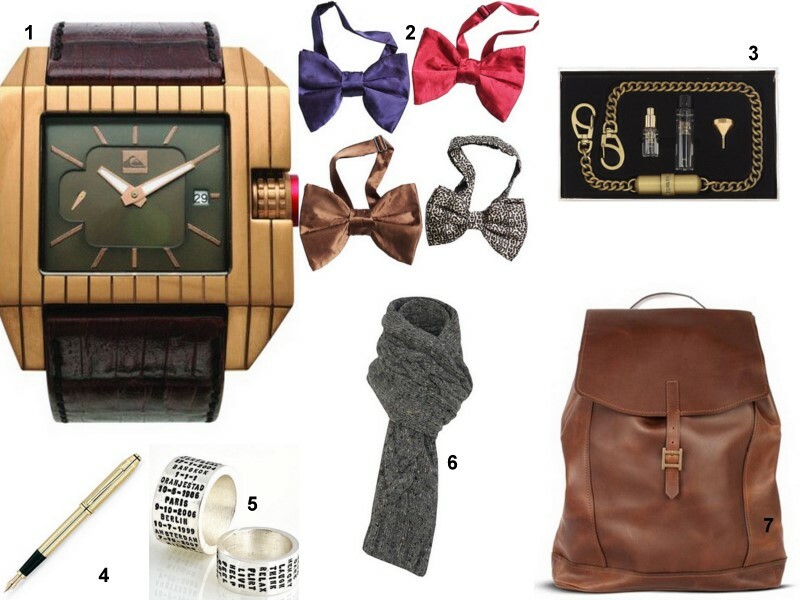 def like everything, very classy ;), my fav is the watch and bow ties. Good ideas. I love the bowties.